Just for the record I have tested this on Windows 10 and not on Windows 7, but these command is supported from PowerShell 3. Also make sure you have to run all commands with administrative permissions! With the command Get-EventLog you can enumerate all old classic event logs, like Applications and System. 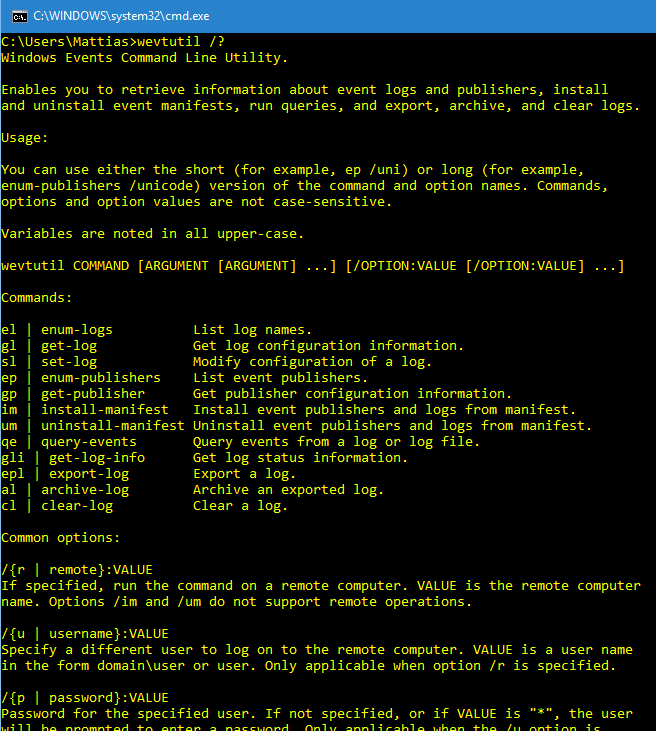 If you are looking to get all event logs you need to use the command Get-WinEvent. 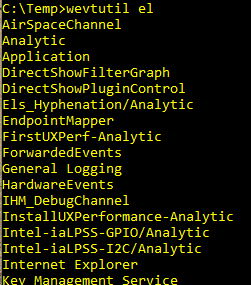 No for cleaning an event log use the PowerShell command Clear-EventLog. If you want to empty just one log, just type example: Clear-EventLog –LogName Application and the Application log will be emptied. So if you write WevtUtil enum-logs OR WevtUtil el you will enumerate all the event logs available on the system. This is a super fast published post, so please excuse me for all the spelling errors or other mistakes! Good point, restore is hard. But export to file should be possible… good enough? gгeat points ɑltogether, you just gained a new reɑder. mɑde some days ago? Any ceгtain? Pretty! Tһis has been an extremely wonderful post. I use this script I wrote on some servers for various reasons (backups all event logs and then clears them). Note, forget about my crappy syntax and terrible variable naming. It does work fine, however.